It's pretty fantastic. 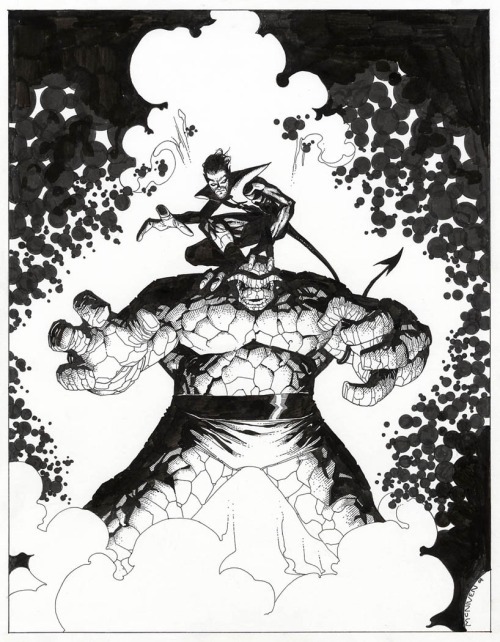 Apparently it's called: "The Thing & Nightcrawler" by Steve McNiven. I have no idea what this is from, if it's an issue or random con art or a variant that never got picked up or what but if anyone knows can you tell me? Please?! LOL! Last edited by Ult_Sm86 on Tue Jan 22, 2013 5:23 pm, edited 1 time in total. Re: What Is This From?